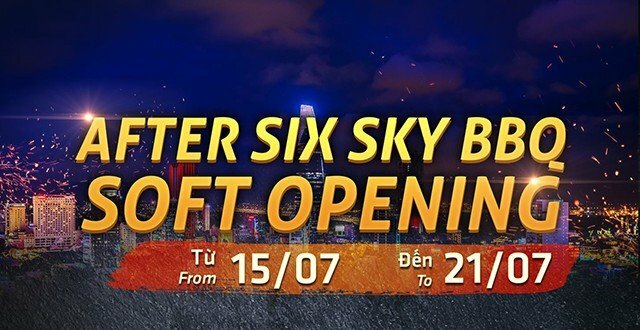 After Six Sky BBQ - A new dining experience is soon coming to Saigon offering stunning panoramic views over Saigon and delicious Western grill. You can enjoy the treat while chilling to grooving tracks by acoustic bands & DJs (Hiphop, Deep House, Nu Disco) every night. Promo: During soft Opening week from 15 to 21 July: Free first round beer and 30% off the bill.